Located in Columbus, Ohio, the Ohio State University’s School of Communication is located on the university’s main campus. 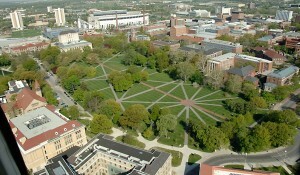 OSU, as it is commonly known, is a public university that was established in 1870. It boasts the third largest university campus in the United States. Currently, OSU has more than 63,000 students spread across 15,904 acres of urban campus. Its 39 varsity teams are known as the Buckeyes. Listed in “The Public Ivies: America’s Flagship Public Universities,” OSU has been a member of the exclusive Association of American Universities. It remains the only public school that can make this claim. U.S. News & World Report has ranked OSU as number 55 in America and as number 18 among American public universities. OSU enjoys a stellar reputation across the world, as well, and was ranked 111th in the world in “QS World University Rankings” in 2011. According to their official website, OSU’s School of Communication aims to help students understand the “processes, role and power of communication.” The program focuses on fostering practical as well as analytical communication skills, with a thorough grounding in established principles of communication. OSU is considered a more selective school, and students must first complete a pre-journalism or pre-communication major before applying to the undergraduate communication program. Undergraduate communication degrees are available with emphasis on Communication Analysis and Practice, New Media and Communication Technology, Strategic Communication and Public Affairs Journalism. As one of the top three graduate communication programs in the United States, with many top-ranked areas of specialty, OSU emphasizes flexible, individualized study with an emphasis on empiricism. OSU offers both Master of Fine Arts degrees and Doctor of Philosophy degrees in communications that are research-oriented. Students seeking an M.A. can choose to emphasize Communication Technology, Health Communication and Social Influence, Mass Communication or Political Communication and Public Opinion. OSU’s M.A. program emphasizes the study of social and psychological processes that play a part in communication, as well as the complex relationship that exists between communication and society. Although OSU’s M.A. graduates are equipped to enter the field of communication in many capacities, the program is geared towards preparing students to enter Ph.D programs. OSU’s Ph.D. candidates study the theory and methods of communication and typically embark upon careers in the academic arena, as either instructors or researchers. However, OSU doctoral graduates have also gone on to work as media research directors or as communications specialists with the government. Ohio State University has a strong tradition of emphasizing empiricism, and research from the School of Communication is often published in prestigious industry journals. In addition, faculty and graduate students frequently receive honors, awards and grants. From November of 2010 through August of 2011, the OSU School of Communication faculty had 50 research articles accepted for publication to peer-reviewed academic journals, 52 research articles published in peer-reviewed academic journals and seven awards for top papers. One association award was received. Two editorships were awarded and eight grants, including two external grants, were awarded to faculty and students.